Jonathan Roiser (winner of the Society’s Spearman Medal 2013) considers the case of mental health. Over the past 25 years the pace of progress in neuroscience research has been extraordinary, with advances in both understanding and technology. We might expect that this would stimulate improved understanding and treatment of mental health problems, yet in general this has not been the case. In fact, our standard treatment approaches have barely changed in decades, and still fail many people suffering from mental distress. Why is there this disconnect between knowledge and application? And could we be on the brink of an exciting new era of cooperation between the two disciplines, increasing the effectiveness of existing treatments and even suggesting new ones? Mental health problems exert an enormous social and economic burden. By way of example, the cost of depression alone to the British economy is over £9 billion annually (Thomas & Morris, 2003), and more than twice as many people die from suicide each year in the UK than are killed on its roads (Office for National Statistics). These stark figures are surprising given that depression is treatable, with strong evidence supporting both pharmacological and psychological interventions. Why have these social and economic costs remained so high even as treatments have improved? Access to treatment, in particular psychological therapy, has increased in recent years (Layard & Clark, 2014), but of course could be better. And while the stigma associated with mental health problems is greatly reduced from what it was a generation ago (Office for National Statistics), we are still far from the point where public perceptions of mental health problems equate to those of physical conditions. However, these are not the only important factors. As mental health practitioners are well aware, even when a person comes forward for treatment, selecting the right treatment pathway is a huge challenge. The impressive statistical evidence base from treatment trials masks great variability: different treatments work for different people (and while this article focuses on depression, the same holds for all mental health problems). For example, a large community-based study of medication for depression revealed quite disheartening results. Only around one third of those in the study recovered fully on the first antidepressant prescribed (Trivedi et al., 2006). For psychological treatments the picture is only a little better: Cuijpers and colleagues (2014) found that less than half recovered fully across a variety of commonly used psychotherapies (with evidence-based treatments such as cognitive behavioural therapy performing best). In other words, while our standard treatments work well for some, they fail many, resulting in people suffering for longer than they should. There are currently no methods available in standard mental health practice that can predict, even with modest accuracy, which treatment is going to work for which individual. And the many people for whom treatments fail serve as a reminder that developing better interventions remains a priority. 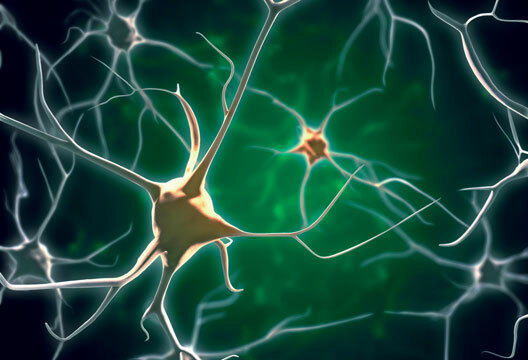 The past quarter of a century has witnessed numerous advances in neuroscience, such as neuroimaging and non-invasive electrical brain stimulation in humans, and optogenetics in animals (the highly selective activation of neurons using laser light, see Fenno et al., 2011). If we believe that ‘minds are what brains do’ (Minsky, 1988), we might expect this to lead to improved treatment of mental health problems. Yet arguably, the only appreciable impact of neuroscience research on routine mental health practice has been in the use of animal models to develop new drugs, which has yielded few new treatments in this field over the past decade. This disconnect between modern neuroscience research and mental health practice partly reflects the unresolved ‘hard’ problem of consciousness: How does the brain generate experience? Mapping between activity in neurons or circuits and subjective experience remains a huge conceptual, indeed philosophical, challenge. Good science (including clinical science) requires reliable measurement, and neuroscience deals with what can be measured objectively at the level of the brain. In animals, neuroscience measurements and manipulations can be causally related to behaviour, but experience can only be inferred indirectly; human studies have attempted to link brain function to subjective experience measured using self-report, but for ethical reasons these studies are largely correlational. More broadly, we lack a generally accepted neuroscientific explanation of how brains make minds (though there have been some attempts, e.g. Craig, 2009). By contrast, clinical characterisations of mental health problems, whether conceptualised as categorical disorders or lying on a spectrum, are based on symptoms that in many cases only exist subjectively. In other words, mental health practice takes subjective experience as its starting point – there is no objective test for low mood, worry or hallucination. Whether one adopts a categorical or spectrum view, mental health practitioners rely on descriptive definitions, in which the symptoms specify the spectrum or diagnosis. Why can’t we diagnose disorders using brain scans? Mapping symptomatically and categorically defined mental disorders onto brain circuits is arguably a hopeless task. To start with, consider the clinical heterogeneity. Two individuals diagnosed with depression could have completely different symptoms: one experiencing low mood, poor appetite, difficulty sleeping, worthlessness and suicidal thoughts; the other anhedonia, excessive sleep, fatigue, psychomotor retardation and difficulty making decisions. There is no obvious reason why these very different clinical presentations should correspond to a unitary underlying causal mechanism (meaning here simply the processes that give rise to symptoms, regardless of whether at the psychological or neuroscientific level). However, a more fundamental challenge is that the even the same symptoms could be caused by completely different mechanisms. Take the simplistic example of a cough. Using a descriptive, approach one could define a ‘cough syndrome’ – cough (cardinal symptom), might commonly co-occur with runny nose, sore throat, fatigue, etc. A cough has many potential causes: viral or bacterial infection in the lung; asthma; or even cancer. But these are conditions that are defined mechanistically, not according to symptoms. Most importantly they require radically different treatments: antibiotics for bacterial infections; steroids for asthma; chemotherapy, radiotherapy or even surgery for lung cancer. Although the mechanisms driving depressive symptoms will be far more complex than those of a cough, this example serves to highlight the inherent limits of a purely symptom-based diagnostic system, especially when considering treatment selection. It also suggests that the notion that there might be a single mechanism for a descriptive diagnosis like depression is probably wishful thinking. For this reason, we will never be able to diagnose ‘depression’ with a brain scan; because symptom-based categories probably conflate clusters of individuals in whom diverse brain processes drive symptoms. Moreover, neuroscientific explanations deal with continuous measurements, and therefore naturally align better with spectrum approaches than with categorical biomedical models. This is part of the logic that has motivated the American National Institute of Mental Health to move away from funding studies based on descriptive categorical diagnoses. The argument here is not that mental health practitioners should simply ignore symptoms altogether. Symptoms will always be the first pointers towards mechanisms – just as they are in other clinical disciplines. Someone who visits their GP with a cough is not immediately subjected to an invasive procedure. But if the cough persisted for several months then a doctor might use a diagnostic test to help figure out its cause, before recommending a treatment. In mental health practice the symptoms are the diagnosis (or spectrum), by definition. There are no standard diagnostic procedures to aid GPs in deciding, for example, whether a depressed individual might be best treated by drugs targeting the serotonin or noradrenaline systems, or psychological interventions targeting cognitive schemata or avoidance of reinforcing activities, or some combination of these. And while an experienced psychologist might be able to tailor an intervention such as CBT according to her assessment of the factors that triggered and maintain symptoms, trial-and-error in treatment selection is common. What do we mean by a ‘cause’? I propose that in order to improve our understanding and treatment of mental health problems we need to specify the causes of symptoms at the level of the organ that generates them: the brain. It might be claimed that such an approach is too reductionist, ignoring the complex psychosocial context in which symptoms develop. In the standard biopsychosocial model, brain-based explanations of mental health problems are usually grouped together with other ‘biological’ factors, such as genetic or hormonal, and as a counterpoint to ‘psychosocial’ causes, such as interpersonal stress or early life experience. But this is a strange division. Of course brain function is influenced by genetics; but it is also profoundly influenced by the environment, particularly the social environment. To put it another way, brain-based explanations of symptoms are neither ‘biological’ nor ‘psychosocial’, but instead must incorporate both. If one accepts the philosophical position that all subjective experience arises from activity in brain circuits then the brain becomes an obvious place to search for the mechanisms driving symptoms, from uncontrollable elation to outright despair. Indeed, it could be argued that integrating psychological and neuroscientific information is the only way in which a truly holistic explanation of mental health problems can be proposed, as the brain is the interface at which genetic and environmental influences interact to produce thoughts, perceptions, beliefs and feelings. And there is no reason to assume that a brain mechanism can only be targeted using a ‘biological’ treatment – psychosocial interventions change the brain too. Importantly, this is not to privilege neuroscientific models over psychological models of symptoms. Each discipline has much to learn from the other, since they address the same questions but in a complementary fashion, at different levels of explanation. Ultimately they require integration: ‘mindless’ neuroscience and ‘brainless’ psychology are both incomplete explanatory frameworks. A useful notion is to consider different types of causes of symptoms lying on a spectrum, the extremes of which I will term ‘proximal’ and ‘distal’. Proximal causes are directly related to the mechanisms driving symptoms, and are useful targets for treatment; they are often identified through basic science research. For example, lung cancer is (proximally) caused by malfunction in the machinery that regulates cell division. Traditional lung cancer treatments tackle this cause by removing the malfunctioning cells (surgery) or killing them (standard chemotherapy and radiotherapy). However, ‘cancer’ is not really a single entity but instead a cluster of illnesses, and modern advances in cancer biology have yielded more precise (and consequently more useful) proximal causes, pinning down the exact genetic mutations that drive different sorts of tumours. Such findings have raised the prospect of an era of ‘personalised medicine’ in oncology, as targeted drugs are developed for specific mechanisms (Herceptin being a well-known example). For tumours driven by the relevant genetic mechanism, treatment with these drugs can be highly effective. However, they are ineffective (even detrimental) for other types. By contrast, distal causes are indirectly related to the mechanisms driving symptoms, and are useful targets for prevention; they are often identified through epidemiology research. Again, take the example of lung cancer, which is (distally) caused by cigarette smoking in the majority of cases, though it must be caused by other factors in people who have never smoked. These could be genetic (lung cancer is heritable), other types of environmental trigger (e.g. radon gas exposure) or some interaction between the two. Given the overwhelming evidence that lung cancer is (distally) caused by smoking, efforts at prevention rightly focus on reducing its incidence. However, after a tumour has developed an oncologist must focus on the proximal cause when proposing a course of treatment. Of course, there is often some relationship between proximal and distal causes – smokers do tend to develop similar tumours. However, two patients could have cancers with very similar proximal causes, requiring the same treatment, even if one is a regular smoker and the other has never smoked. In mental health practice, this brings to mind the (now largely historical) distinction between ‘reactive’ versus ‘endogenous’ depression; originally thought to be distinct sub-types of illness driven by distinct environmental and genetic (distal) causes, and suited to different interventions. In fact, this classification was unreliable and prediction of response to treatment was never shown to be consistent. In other words, similar distal causes do not necessarily imply similar proximal causes, as has long been recognised in developmental psychopathology where close parallels can be drawn with the concepts of equifinality and multifinality (Sroufe & Rutter, 1984). As in oncology, the hope is that better specification of the proximal causes of mental health problems will result in better treatment. The majority of studies of depression have focused on distal causes (which psychologists might consider ‘underlying’). These include: heritability and genetics; hormonal and immune factors; upbringing and early life experience; and personality. More proximal causes include: various forms of stress, particularly social; high-level psychological constructs derived from cognitive theories (e.g. dysfunctional negative schemata); low-level constructs such as negative information processing biases (also important in anxiety); and disrupted transmission in neurotransmitter systems such as serotonin. However, none of these factors is specified at the level of activity in brain circuits. Dysfunctional negative schemata are internal representations of the environment that are proposed to trigger and sustain symptoms – but schemata must themselves be encoded in the brain. The hypothesis of disrupted serotonin transmission is derived from the effects of antidepressant drugs – but serotonin does not usually directly induce activity in neurons; instead it modulates ongoing activity. The proposal that low levels of this ‘happy hormone’ somehow directly induce depressive symptoms is not well supported by available evidence (Ruhe et al., 2007), and leaves a large conceptual gap in the serotonin hypothesis. What of attempts to specify depression at the level of brain circuits? In the 1990s seminal studies demonstrated that regional brain metabolism and blood flow (proxies for activity) were altered in depressed individuals. These identified consistent differences between depressed and never-depressed individuals in brain structure and function in specific parts of the prefrontal cortex. For example, depressed individuals had hyperactivity in the subgenual anterior cingulate cortex (sgACC: Drevets et al., 1997), which normalised following recovery (Mayberg et al., 1999). Mayberg also showed that inducing sad mood in non-depressed people had the opposite effect of recovery from depression, increasing sgACC activity. Subsequent work using functional magnetic resonance imaging (fMRI) demonstrated convincingly that the sgACC forms part of a circuit that supports the brain’s processing of basic emotional information, suggesting a potential role in generating negative biases. Dozens of further studies have confirmed robust abnormalities in this circuit in depression, especially during emotional processing (Groenewold et al., 2013). Taken together, these studies support the notion that negative affective perception and experience in depressed people are caused (proximally) by disrupted function in the brain circuits that support normal emotional processing. The information provided by neuroscience may be interesting, but is it useful? It is up to neuroscientists to convince mental health practitioners that their discoveries can make a difference to intervention, and explain what form such application might take. Despite the conceptual problems in mapping symptoms onto brain circuits, such efforts have already provided some surprising progress in the treatment of depression. One conclusion that can be drawn from neuroscience studies is to confirm that ‘depression’ is indeed mechanistically heterogeneous, and not a single entity at the level of the brain. Despite the statistical evidence for group differences, even the most robust brain-imaging abnormality in depression (reduced sgACC volume) cannot differentiate between depressed and never-depressed individuals reliably. If one were to calculate a ‘normal range’ of sgACC volumes in a non-depressed population, the majority of depressed individuals would lie within it. But might we be able to exploit this variability in brain structure and function among individuals with the same diagnosis, in order to improve treatment selection? A series of studies using similar designs (reviewed in Roiser et al., 2012) has yielded some intriguing preliminary results. These scanned the brains of depressed people before a course of treatment, while they performed simple emotion processing tasks. Importantly, different treatments were used in different studies: specific medications in some, and CBT or behavioural activation therapy in others. These treatments were then administered over several weeks, and a final assessment of symptom change was taken (using standard interviews such as the Hamilton Rating Scale for Depression), which was related to baseline brain activation. Consistent findings were observed across studies, but in different directions for psychological and pharmacological treatments (Roiser et al., 2012). Psychological treatments worked best in individuals with relatively normal baseline sgACC activation during negative emotional processing. By contrast, pharmacological treatments worked best in individuals with abnormal baseline sgACC activation. Importantly, this was independent of baseline severity. Identifying the regions that operate abnormally in depressed individuals has also led to the development of new approaches that intervene directly at the level of brain circuits, both invasive and non-invasive. Deep brain stimulation (DBS) is a surgical technique that involves applying continuous electrical stimulation directly to a localised brain region through an implanted electrode, like a pacemaker for the brain. Importantly, and unlike earlier psychosurgical approaches, DBS does not involve destruction of brain tissue, and the stimulator can be removed if it is ineffective. Initially developed to treat Parkinson’s disease, it was first attempted in depression about a decade ago, targeting the sgACC. An open-label trial of DBS in chronically depressed individuals produced encouraging results, with approximately 50 per cent categorised as responders to treatment after 12 months (Lozano et al., 2008). However, these impressive preliminary results need to be replicated in randomised controlled trials. Similar trials have shown that DBS to other brain regions can also treat chronic obsessive-compulsive symptoms. Clearly, surgical interventions will only ever be used in the most extreme cases. However, non-invasive methods of direct brain stimulation have also been developed, in particular using repetitive transcranial magnetic stimulation (rTMS) to target the dorsolateral part of the prefrontal cortex (DLPFC), which is extensively connected with the sgACC. rTMS is completely different to electroconvulsive therapy – it is anatomically specific and delivered at much lower intensity (with only a tiny risk of seizure). Several high-quality trials have provided convincing evidence that depressive symptoms can be reduced through daily DLPFC rTMS (Gaynes et al., 2014). In America this technique has already received Federal Drug Administration approval as a potential treatment option in depressed individuals who have not responded to medication. Neuroscience findings might also stimulate new avenues of research to develop innovative psychological treatments. A classic example was the development of exposure therapy to treat phobias, based on the principles of extinction derived from behavioural neuroscience. More recently, it has been proposed that using visuo-spatial distraction to prevent the initial consolidation of memories in the aftermath of traumatic exposure could act as a ‘cognitive vaccine’, stopping the development of flashbacks in the first place (Holmes et al., 2010). Finally, cognitive bias modification has been developed with the aim of targeting low-level negative emotion processing directly, but this requires more investigation with high-quality trials (Cristea et al., 2015). At first glance the question posed in my title, echoing the famous scene in Monty Python’s The Life of Brian, may have provoked a similar sentiment to that of the character Reg, who cannot acknowledge that the Romans have delivered any civic improvements at all. Although modern neuroscience research has, as yet, had minimal impact on mental health practice, we are on the brink of an exciting period. In the short term the most important effect will be to encourage us to change the way we think about symptoms, focusing on proximal causes at the level of the brain and how these relate to psychological processes. Longer term, the hope is that by recognising mechanistic heterogeneity we will develop better classification systems, new approaches to intervention, and further tools to enable practitioners to choose the right treatment for the right individual. Craig, A.D. (2009). How do you feel – now? The anterior insula and human awareness. Nature Reviews Neuroscience, 10(1), 59–70. Cristea, I.A., Kok, R.N. & Cuijpers, P. (2015). Efficacy of cognitive bias modification interventions in anxiety and depression: Meta-analysis. British Journal of Psychiatry 206, 7–16. Cuijpers, P., Karyotaki, E., Weitz, E. et al. (2014). The effects of psychotherapies for major depression in adults on remission, recovery and improvement: A meta-analysis. Journal of Affective Disorders, 159, 118–126. Drevets, W.C., Price, J.L., Simpson, J.R., Jr. et al. (1997). Subgenual prefrontal cortex abnormalities in mood disorders. Nature, 386(6627), 824–827. Fenno, L. Yizhar, O. & Deisseroth, K. (2011). The development and application of optogenetics. Annual Review of Neuroscience 34, 389–412. Gaynes, B.N., Lloyd, S.W., Lux, L. et al. (2014). Repetitive transcranial magnetic stimulation for treatment-resistant depression: A systematic review and meta-analysis. Journal of Clinical Psychiatry, 75(5), 477–489. Groenewold, N.A., Opmeer, E.M., de Jonge, P. et al. (2013). Emotional valence modulates brain functional abnormalities in depression. Neuroscience and Biobehavioural Reviews, 37(2), 152–163. Holmes, E.A., James, E.L., Kilford, E.J. & Deeprose, C. (2010). Key steps in developing a cognitive vaccine against traumatic flashbacks: Visuospatial Tetris versus verbal pub quiz. PLoS One, 5, e13706. Layard, R. & Clark, D.M. (2014). Thrive. London: Allen Lane. Lozano, A.M., Mayberg, H.S., Giacobbe, P. et al. (2008). Subcallosal cingulate gyrus deep brain stimulation for treatment-resistant depression. Biological Psychiatry, 64(6), 461–467. Mayberg, H.S., Liotti, M., Brannan, S.K. et al. (1999). Reciprocal limbic-cortical function and negative mood: Converging PET findings in depression and normal sadness. American Journal of Psychiatry, 156(5), 675–682. Minsky, M. (1988). The society of mind. New York: Simon and Schuster. Ruhe, H.G., Mason, N.S. & Schene, A.H. (2007). Mood is indirectly related to serotonin, norepinephrine and dopamine levels in humans. Molecular Psychiatry, 12(4), 331–359. Sroufe, L.A. & Rutter, M. (1984). The domain of developmental psychopathology. Child Development, 55, 17–29. Thomas, C.M. & Morris, S. (2003). Cost of depression among adults in England in 2000. British Journal of Psychiatry, 183, 514–519. Trivedi, M.H., Rush, A.J., Wisniewski, S.R. et al. (2006). Evaluation of outcomes with citalopram for depression using measurement-based care in STAR*D: Implications for clinical practice. American Journal of Psychiatry, 163(1), 28–40. The obvious is again being overlooked. Depression - the chemicals that control our emotions must be inherited, where else could they come from. When we take drugs for depression the chemical in the drug alters the chemical in our brain, but only temporarily, alcohol also changes these chemicals and alters our emotions.. Unless the patient has witnessed great trauma, depression is most probably inherited, therefore Psychologists should also interview the parents of the patient . If it is explained to the patient that this is most probably the cause of their depression they would understand themselves better and be able to fight against it. It is important,obviously, that it is explained to the patient, that they should not blame their parents as they've also inherited poor emotional chemicals. You appear to positing some theory of your own. You should make it clear when posting such a comment that this is your own opinion. As you are giving instructions to psychologists on how to treat patients, I should be interested to know if you hold any relevant qualifications.